By Julie Hubbard • The Tennessean • October 28, 2010 The Metro Nashville Public School District is sending out letters this week to about 2,000 students in the Cane Ridge and Antioch High School cluster zones who may be affected by redistricting next school year. “The Antioch and Cane Ridge areas have seen significant population growth over a number of years,” said Chris Weber, the district’s director of student assignment. The redistricting changes are the first-year implementation of a 10-year plan for managing the growth in the southern Davidson County. The school board approved the plan last summer. Parents will receive a letter by way of students that explains which school their child will be assigned to attend next fall, as well as where to learn about other available school options. A second copy will be mailed home. Changes will not affect enrollment for children currently assigned or approved to attend an out-of-zone school or magnet school. By Andy Humbles • THE TENNESSEAN • October 28, 2010 A person police believe was a Tennessee State University student was shot and killed at about 7 p.m. Wednesday while riding in an SUV near campus. The victim was in the backseat of the SUV with two other passengers riding in an alley behind the 2500 block of Jefferson Street, according to Metro Police Captain Chris Taylor. A person standing in the alley fired a gunshot through the back windshield of the vehicle and hit the victim, Taylor said. The driver drove to Skyline Medical Center where the victim died, said Taylor. The victim’s name has not been released pending notification of the family. No information is yet available on a possible connection between the shooter and the vehicle, Taylor said. Police at the North Precinct have a “viable lead,’’ on a suspect in the shooting according to Taylor. Metro to pay $1.8M annually for space in Hickory Hollow By Michael Cass • THE TENNESSEAN • October 26, 2010 Metro government would pay more than $1.8 million a year to lease space at Hickory Hollow Mall for several city facilities under plans Mayor Karl Dean has sent to the Metro Council. The three lease agreements, with terms of 10 to 15 years each, call for Metro to rent more than 350,000 square feet in the former J.C. Penney and Dillard's buildings and in nine spaces on the mall's first floor. The city eventually would have options to buy the Penney and Dillard's buildings. Dean announced last month that he planned to build a community center, a library, a public health center, a park, and the Tennessee State Fairgrounds flea market and expo center at the mall near Bell Road and Interstate 24. His administration filed the lease proposals with the council office Friday, giving them a chance to win final approval by mid-December. Under the three agreements, Metro would: • Lease 138,189 square feet in the J.C. Penney building for $690,945 a year — $5 per square foot. The city would be able to buy the building from Hickory Hollow/SB LLC for up to $4 million after two years, with the purchase price dropping with each passing year. The two-story Penney building would house a 23,000-square-foot library and archives reading room; a new home for the library system's archives; and a 25,000-square-foot regional community center. A "multi-acre" public park would sit in front of the building, which would have 362 parking spaces. • Lease 200,000 square feet in the Dillard's building for $1 million a year, also $5 per square foot. Metro would be able to buy that building from Hickory Hollow/SB LLC for an estimated $5 million after four years. About half of the purchase price, which would drop by $200,000 each year, would repay Hickory Hollow/SB LLC for building out the space for Metro's use as a flea market and expo center. Dean wants to redevelop the fairgrounds, which will stay open until the mall is ready for its events. Hickory Hollow/SB LLC still needs to close on its purchase of the facility from Dillard's, Metro Finance Director Rich Riebeling said. • Lease 15,351 square feet of reception and clinic space from Hickory Hollow Mall Limited Partnership for the public health center on the mall's first floor. Metro would pay $12 to $16.12 per square foot over 15 years, with annual rent starting at $184,212 and ending at $247,458. The agreement says Metro ultimately could consolidate the services it offers in that space with programs in other "mutually agreeable space" owned by Hickory Hollow Mall Limited Partnership or any of its affiliates. The city also can terminate the lease with 90 days' notice if it loses federal funding. Hickory Hollow owner CBL & Associates Properties Inc., which is based in Chattanooga, controls both of the entities Metro is negotiating with, Riebeling said. Contact Michael Cass at 615-259-8838 or mcass@tennessean.com. Tennessean Two men suspected in the robbery of a woman's purse in a Nashville store parking lots have been arrested, according to the Metro Police Department. Deon Townsend, 19, and Marcus Norman, 23, both of 31st Avenue South, are charged with robbing a woman of her purse at 6:55 p.m. Saturday as she pushed a shopping cart to her vehicle in the parking lot of Sam’s Club at 1300 Antioch Pike. According to police, the suspects were stopped minutes. An officer, who had heard about the robbery on the dispatch radio, stopped the suspects' vehicle on Haywood Lane near Interstate-24 for a headlight violation Townsend later admitted to other similar robberies,according to police, including one on Oct. 13 of a woman in the Wal-Mart parking lot on Hamilton Church Road. Townsend is being charged in that case according to police. Michael Cooper - "Murals and More"
WKRN Channel 2 Posted: Oct 22, 2010 8:48 AM CDT NASHVILLE, Tenn. – A uniform supply store warehouse in South Nashville caught fire early Friday morning. The fire started just before 3 a.m. at G & K Services located on Airpark Commerce Drive. Fire investigators believe the fire was the result of a spontaneous combustion from items that were laundered in Memphis and delivered to the warehouse. The company's sprinkler system extinguished the blaze before firefighters arrived, leaving only smoldering piles of material. "I know there are rags in bundles and bags and different things with clothing and cloth," Nashville Fire Dept. Dist. Chief Ricky Taylor said. "It's hard to tell exactly what all is in there. A lot of it is melted, burned." The sprinkler system helped prevent any structural damage to the warehouse. Site workers do not know how many uniforms were damaged in the blaze. STAFF REPORTS • October 20, 2010 Fire investigators are looking into what caused a blaze at 2921 Harbour View Drive near Percy Priest Lake. The home was a total loss, District Fire Chief Ricky Taylor said. The home was up for sale and had been vacant for some time, he said. Fire crews got the call just before 4 p.m. No one was injured. Runners repeat as champions By Lea Ann Overstreet • THE TENNESSEAN • October 20, 2010 Antioch High School's boys and girls cross country teams are back-to-back district champions. The two teams swept the district championships held Oct. 7 at Shelby Park, producing the first-place runners with multiple members in the top 10. The teams entered the competition undefeated, but that is not what makes these teams great, said Jamie Jenkins, boys coach. "The coaching staff values integrity over wins," Jenkins said. "We believe that success is a product of integrity, dedication, courage and hard work. We demand these from our athletes, and the result has been the successes we have been blessed with." Antioch's boys team finished with three runners in the top 10, with Quamel Prince taking first. Prince, a junior, kept the title of district runner of the year, a moniker he won at the 2009 championships. According to Metro Schools, Prince also set a national record at this summer's Junior Olympics in the Intermediate 800 with a time of 1:51:68, breaking a record set in 2006. Freshman Mamush Midagsa finished third at the championships, and Ron Higdon finished eighth. Other members of the varsity squad are Joseph Brown, Christian Elmore and Brandon Gentry. The girls had five runners in the top 10. "Our team has worked extremely hard to get to this point, and I am truly grateful to be associated with this team as well as this school," said Michael Beem, girls coach. Shaina Johnson finished first and was runner of the year. Oteia Prince, last year's runner of the year, finished third, followed by Andranae Lavender in fourth. Hikma Koko finished seventh and Rylee Thompson finished eighth. Other members of the varsity squad are JaKeima Campbell and Alleigha Williams. Of the 25 runners, nine set personal records, Jenkins said, and the teams will concentrate on qualifying for the Nov. 6 state meet. Jenkins describes all the cross-country members as hard-working, well-mannered leaders who have become a family that encourages one another, never letting each other give up. "Something that we reiterate to our athletes regularly is a quote by Martin Luther King, 'The measure of a man is not where he stands during times of comfort and convenience, but where he stands during times of challenge and controversy,' " Jenkins said. "We tell our athletes that when it gets tough out there running, what will they do? Give up or keep pressing forward? "This is practice for life. If you don't give up now, you won't give up in life. It will become part of who you are as a person, someone who never gives up and has the courage to keep moving forward when things get tough," he said. Jenkins and Beem each won the title of boys and girls district coach of the year for the district for the second straight year. Nearest unit should respond, she saysBy Chris Echegaray • THE TENNESSEAN • October 20, 2010 Lori Gregory, who lost her son in a car crash on Springfield Highway, says a fatal wreck on the same stretch of road last weekend shows the continued need for the closest ambulance available to respond rather than have such aid stop at the county line. A 59-year-old motorcyclist and his daughter were struck on Saturday in Goodlettsville when a vehicle switched lanes. It happened 10 feet from the site of the crash that took the life of Gregory's son, J.R. Ballentine, on May 30. A few miles down the road, county ambulances were available in Greenbrier and Ridgetop in Robertson County, Gregory said. They were never called, she said. "We can talk to astronauts on the moon, so why can't we coordinate our 911?" Gregory said. "It's frustrating. All it takes is a phone call. Metro and the counties need to do something." Gregory is reaching out to state representatives about the issue she says will persist near county lines. She wants a law enacted that would erase political boundaries in medical emergencies and require that the closest unit respond. A 2004 state law authorizes and provides a framework allowing emergency agencies across Tennessee to request and provide mutual aid. Assistance has to be specifically requested and is not automatic throughout most of Middle Tennessee. In Davidson near Robertson County Gregory's 18-year-old son and a passenger died in a two-vehicle crash a mile from the Robertson County line. The accident was called in at 5:10 p.m. Ambulances sent from other parts of Davidson County picked them up, and they arrived at Vanderbilt University Medical Center minutes before 6 p.m. Saturday, Rickey Otts, 59, was barely alive after the collision. His daughter, Tiffany Coe, 32, was his passenger on the motorcycle. She was injured but conscious. A Good Samaritan helped them and waited for emergency crews to get to the stretch of road that's in Goodlettsville, part of Davidson County. Nashville Fire Department District Chief Charles Shannon said that he would not be able to get the response time to Saturday's crash until today. Greenbrier Mayor Billy Wilson said Metro has the option to call for mutual aid. "He still had a pulse," said Wilson, also chief of the small town's volunteer fire department. "We have a mutual aid agreement. All Metro has to do is ask for it. We can't just show up." Liability, insurance and concerns about boundaries keep available ambulances from helping, Wilson said. "We can't self-dispatch," he said. "It opens it up for a lawsuit." The Good Samaritan was Wilson's daughter, a trained medical first responder. Contact Chris Echegaray at 615-664-2144 or cechegaray@tennessean.com. Article Taken Fron ADHD in Focus By Kathryn Goetzke (During such Troubling Times - thought this article might hlep parents) It seemed fairly obvious to me that those with ADHD have a higher rate of suicide and depression, but I was surprised to learn that according to WebMD research both are 4-6 times more likely to occur in those with ADHD than those without it. That scares me, and it’s a tricky subject because some research suggests that when you talk to students about suicide it puts the thought in their mind, and they are more likely to try it. Thankfully, recent research is starting to suggest that kids already know about it, so in fact talking about it does just the opposite and helps prevent it. While technology can exacerbates symptoms of ADHD, it is also a blessing in crisis situations. If you think about it, ADHD minds spin quickly, repetitively and impulsively. One distracting thought of ‘my life would be better if i weren’t here’ can snowball into a suicide attempt in the blink of an eye. The good news is technology has made it possible for these same kids to get help IMMEDIATELY. There are online groups, suicide hotlines and online support groups. It’s absolutely amazing that there are so many resources at the touch of a button, kids just have to know they are there and how to use them. The recent research suggests parents talk to children about suicide, and I agree. Unfortunately, if you’re a parent talking to your child, you’ll most likely bring some guilt and shame to that conversation even without knowing it. Just remember it’s not your fault. Having experienced these issues first hand, some tips I have for parents: •Talk to your child in a ‘please pass the butter’ voice. If you are too emotional try again. 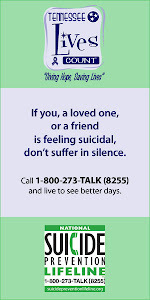 •Don’t put them on the spot – ‘Are you suicidal?’ can often appear threatening or embarrassing to the child. •Let them know depression is a medical problem and they are welcome to talk to you or someone anytime, just as they would with their foot or ankle or brain. •Encourage them to talk to others for support if they are feeling bad, and give them some online resources. •Let them know that should they ever feel desperate, there are immediate solutions available to them that they should write down / carry with them. Give them a personal friend, a suicide hotline (1-800-suicide), their doctor, a school counselor, and someone else impartial that they trust. •Let them know that if you are in a fight with them, you still love and accept them and would want them to reach out, if not to you, someone above. •Remind them that it is a temporary feeling, and it passes. Share stories of similar people that have successfully gotten through it / accomplished great things. •Soon we will have an online crisis center available as well. If I knew that it was normal, I wouldn’t have had such panic when those feelings arose. I might not have run from them through various escape routes and actually felt them. And during the times that I felt like my parents were NEVER going to forgive me and that I was the WORST kid ever, I would have had options to talk to people besides just them. Even if you do not think your child is suicidal / ever has the potential, you never really know. Especially if they have ADHD. I think every parent and person that has ever lost someone to suicide would say that it is much better to be safe and take the risk of talking, then sorry. News Channel 5 Posted: Oct 19, 2010 6:39 AM CDT NASHVILLE, Tenn. - A man was beaten, pistol-whipped and robbed at his apartment complex on Hickory Highlands Drive, just off Bell Road in Antioch. Police said the victim had just gotten out of his car around 1 a.m. when he was approached by two men who demanded his wallet and keys. Police are searching for the two men. The victim was treated at a local hospital, and he is expected to be okay. Posted: Oct 16, 2010 7:10 PM CDT Antioch residents learn about gang activities 1:46 Antioch, Tenn. – Metro police held a presentation to inform people about gang related activities on Saturday morning. Dozens of Antioch residents attended the presentation, which was held at the Spirit of Life Church, to learn more about gang issues. The presentation consisted of a slide show that showed the history of gangs and also explained gang hand signs, colors and symbols used by gang members. "It really concerns the citizens when they start seeing these [gang] names, whatever gang name they use. People don't know the symbols," Councilman Robert Duvall told News 2. Metro police explained to attendees that not all graffiti is gang symbolism. "It's not all gang related, but it is all vandalism, so it is important to get that taken care of," Sergeant Suzanne Stephens told News 2. Most of the citizens that attended Saturday's meeting not only fear gang-related activity, but also have sympathy for the kids that get involved with gangs. "Kids start getting into gangs because they are intimidated, because they are not feeling loved," meeting attendee Linda Polk said, adding, "It's up to adults to start stepping up and letting these kids know we do them." Brother Craig Schaub is the pastor of the Spirit of Life Church where Saturday's meeting was held. He told News 2 he feels that kids are getting involved with gangs due to deterioration of families. "Everyone is looking for someone to look up to," Schaub said. He said that if children can't look up to someone at home, then they will look elsewhere. Jenny Upchurch • The Tennessean • October 16, 2010 Two men walking on Lutie Street in South Nashville were shot at by a group in a car early Saturday morning, according to Metro Police. One man was taken to Vanderbilt University Medical Center with life-threatening wounds. No identities have been released. News Channel 5 Posted: Oct 13, 2010 6:44 AM CDT Updated: Oct 13, 2010 8:24 AM CDT (AP) NASHVILLE, Tenn. - Early voting is getting under way in Tennessee and election officials expect the turnout could beat the record for a non-presidential year. The early voting period runs from Wednesday through Oct. 28, five days before Election Day. Democrat Mike McWherter and Republican Bill Haslam are joined by 14 independent candidates running to succeed term-limited Gov. Phil Bredesen. Voters will also decide who will fill three seats in Congress where the incumbents are retiring and determine whether to amend the state constitution to guarantee the right to hunt and fish in Tennessee. State Election Coordinator Mark Goins said officials expect about 1 million early ballots to be filled, up from the previous record of 850,000 in a non-presidential election year. News Channel 5 Posted: Oct 13, 2010 8:57 AM CDT NASHVILLE, Tenn. - Police are on the scene of a suspicious package at 3rd Avenue and James Robertson Parkway. Police are shutting down James Robertson Parkway, 2nd Avenue and Gay Street while they try to figure out what is in the package. By Juanita Cousins • THE TENNESSEAN • October 12, 2010 An antebellum house that has hovered between icon and eyesore could soon become a hub for the Antioch community. Former Mt. Juliet Mayor David Waynick bought the Gran Dale Mansion in June with plans to move his Donelson law office to its second floor and create a community facility on the ground floor. Construction began in August with Waynick recruiting his father and son to tear down rotting wood and scare snakes away. Pending Metro Planning Commission rezoning, he plans to open in December. “I hope it will be an asset,” he said. “I’ve received a lot of calls from people who are appreciative. It’s nice to have that kind of response.” The house dates to an era before Nashboro Village was first built in the 19th century. During the Civil War, it was a hospital for the Union forces. Confederate spies were hanged on its lawn. The Dale family bought it in 1930, adding two side wings. In recent years, the 15-room home has remained vacant and was a source of tension between residents and development. A developer petitioned Metro to demolish the historic home and replace it with a Kroger grocery store and asphalt parking lot in 1996. Residents objected. Eventually, the developer and grocery store won a rezoning case and the home was moved to an adjoining seven-acre tract. With plans to turn the historic home into a bed and breakfast, wedding chapel or restaurant, resident Bob Amity won the Gran Dale from a pool of several people who submitted proposals. After banks denied him a second loan, the mansion faded from memory. “It was something the community members were really concerned about,” said Councilwoman Vivian Wilhoite. She took turns doing neighborhood watch duties to keep squatters and vandals away. “The difference that Mr. Waynick’s renovation makes is that it gives another sense of community,” Wilhoite said. “His vision is broad but centered around the community. Everyone is elated because what happens on that property bleeds over into our residential properties.” Waynick is working with the Metro Historical Commission to preserve the mansion’s integrity. He has preserved its original wood mantel and will keep its 15 rooms in the same layout. “I am a big believer that properties like that should be shared with the public as much as possible,” Waynick said. Reach Juanita Cousins at 615-259-8287, jcousins@tennessean.com or Twitter.com/talljournalist. WKRN Posted: Oct 11, 2010 5:58 PM CDT E, Tenn. – Instead of a having a lavish wedding, one Nashville bride-to-be is donating a chunk of her budget to a non-profit organization half a world away to improve young lives. Christin Negley and her fiancé Ben Humeniuk got engaged earlier this year. "We got engaged in April. Ben and I have been best friends for a long, long time so it was really exciting," she told News 2. Once the ring was on her finger, Negley and Humeniuk began planning their special day with her parent's help. "They were very wise for the last few years and basically set aside a certain budget for us," Negley explained. Now, instead of using that money to throw a big wedding, the mission-minded couple decided to scale back and donate a portion of their budget to a better cause. The money will go to Preemptive Love Coalition, a non-profit based in northern Iraq that funds life-saving heart surgeries for Iraqi children. "It's a holistic process and we very much believe that the good news we're called to spread includes people finding new life physically, so a wedding is a perfect opportunity to represent that," Humeniuk said. The cause is close to their hearts. Negley, now a teacher, was once an intern with the organization, an experience that changed her life. "[There is] a very high number of children who have congenital heart defects. They can't run because they don't have enough oxygen to run," Negley explained. "They don't even have enough oxygen to blow a pin wheel." The couple is reducing costs by downsizing the wedding, making decorations instead of buying them and cutting out favors for guests. Many of the vendors are giving them generous discounts as well and with all the money they won't be spending on their wedding next month, the couple will be able to pay for a large part of a child's upcoming surgery in February. "When you're saving a child's life, it's pretty easy to get on board for that goal," Negley said. WKRN News ANTIOCH, Tenn. – Police are looking for the man who attempted to light a Shell station on fire in East Nashville. The Shell station is located on Crossings Way, near Interstate 24 and Hickory Hollow Parkway. Just before 4 a.m. Monday, a delivery truck driver saw a man walking from a Wendy's Restaurant across the street to the Shell station with a gas can. The suspect then threw gasoline onto the side wall of the station and attempted to light it on fire. The witness then said the suspect appeared to become frustrated when the building would not catch fire, so he fired at least five shots into the gas station. The suspect then began shooting at the delivery truck driver. "I was real nervous," Marco Grandberry, the delivery truck driver, told News 2. "I'm shaking now to a point where I, you know, I had to call my dispatch and let them know what was going on. He was telling me to lock the door until it was safe enough for me to come back outside." The suspect then fled the scene. The Shell station was closed at the time of the shooting. No one was hurt. Is there hope for children who kill? Nashboro Greens is having a Community Garage Sale and You are all Invited! Garage Sale at "Nashboro Greens Condos" (Part of the Nashboro Village Area) When: Saturday October 9, 2010 Time: 6 AM to ???? Where- Nashboro Greens - Come down Nashboro Blvd and then go up Long Hunter and 2ND right will be the Greens! Hope you can all attend! Many different things will be up for SALE! Custodians Fail Background Checks, Not Rehired By Outsourcing Company Reported By Jonathan Martin WSMV Channel 4 POSTED: 2:46 pm CDT October 6, 2010 UPDATED: 6:48 pm CDT October 6, 2010 Background checks show that more than 50 people who had been working for Metro Schools for more than a decade had serious criminal charges the district never knew about. The people who clean Metro Schools no longer work for the school district. Outsourcing custodial work to save money meant the about 600 school janitors had to reapply for their jobs with the new, private company GCA. But 56 of those custodians didn't get hired by GCA because they failed a background check. "It is a disappointment, and we are examining those numbers with concern," said Meredith Libbey of Metro Schools. "We are examining those numbers with concern, and we're not at a point of having a policy change." Those custodians had been working in Metro Schools for a decade or more with criminal pasts the district had no clue about. GCA's background checks revealed eight custodians charged for aggravated assault with a weapon, one for assaulting a police officer and six for having dangerous drugs. There was one robbery charge, and child endangerment and sexual battery. Metro Schools has only been doing employee background checks for 10 years on new employees. Those who worked for the district before that were told to come forward if they had a criminal past. Many of the custodians did not. While all Metro workers are screened before they're hired now, Metro Council members Walter Hunt and Vivian Wilhoite said Metro government may need to go back and screen all of those people who were hired before background checks started. "If that shows we got 56 people within the ranks of janitors that couldn't pass it, I have to ask myself what else is out there," Hunt said. "Possibly more frequent background checks, if you're talking about every five years, every 10 years," Wilhoite said. The Mt. Zion Political Forum @ Antioch is going on now. Councilmembers Sam Coleman & Jim Gotto are the guests tonight @ the Mt. Zion Baptist Church for the Political Forum. Lakeview children and parents getting healthy together on WALK TO SCHOOL DAY. Ok future little Lakeview leader we will let you ride this time. Thanks to all of the Lakeview dads for walking to school today. Walk To School Day would not be fun or safe without our friendly Crossing Guard. 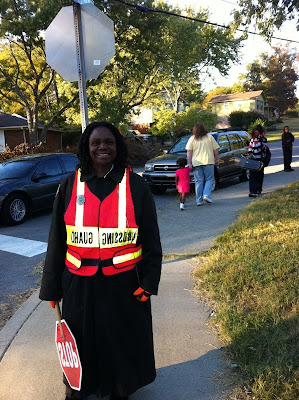 Thanks to all of our crossing guards for keeping us safe on Walk To School Day and everyday! Yea Lakeview! Lakeview's Walk To School Day was awesome, exciting, and exhilarating! "We want healthy bodies NOW!". 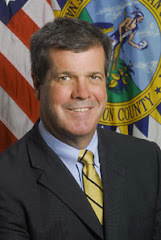 Mayor Karl Dean called volunteerism Nashville's “biggest asset and biggest source of community pride" following the May flood. "We need to harness that spirit of volunteerism to tackle some of our city’s other great challenges, and that’s what this plan sets out to do,” he said at the launch of Nashville's first-ever service plan. Make an Impact. Be the Impact. Sign up to volunteer today! 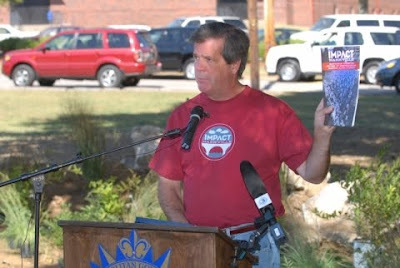 As part of his participation in Cities of Service, Mayor Karl Dean has launched Nashville’s first-ever comprehensive service plan intended to leverage citizen engagement to address some of the city’s most pressing needs. The plan, titled Impact Nashville, outlines service initiatives related to education and environmental recovery from the May flood. Read Nashville's Cities of Service Plan Mayor Dean was one of 17 founding mayors of the Cities of Service coalition, formed by New York City Mayor Michael Bloomberg last September. In January, Nashville received a grant from Cities of Service and the Rockefeller Foundation to hire a Chief Service Officer and develop a strategic service plan. The mayor held the kickoff event for Impact Nashville at Glendale Elementary on Thompson Avenue where students and parent volunteers helped construct a rain garden on the school property. View photos from the kickoff Glendale sustained water damage from the heavy rains that caused the May flood. The rain garden will help absorb and divert water during future rainfalls. Rain gardens and tree plantings are among the volunteer projects included in the Impact Nashville plan. Other service projects outlined in Impact Nashville include recruiting reading tutors to work with students in Nashville’s most high-need schools in kindergarten through second grade, and partnering high school student mentors with middle school students participating in one of Nashville’s NAZA afterschool programs. 2,500 register via hot line; another round of applications will be announced later STAFF REPORTS • October 5, 2010 In just over an hour, 2,500 Tennessee residents in need registered Monday to get a waiver for the state's TennCare program. It was the first round of applications for Standard Spend Down, a program to help people qualify for TennCare if they have high medical bills and are aged, blind, disabled or the caretaker relative of a Medicaid-eligible child. The state set up a toll-free hot line for residents wanting an application. Initially, it wasn't clear how quickly the applications would be snapped up. So the state scheduled the hot line to be open 2½ hours a day, starting at 6 p.m. Monday, until 2,500 applications came in. The phone lines closed at 7:10 p.m. After the first round of applications has been processed, the hot line will reopen and the public will be notified when to call to request an application. Program has 7,000 cap Tennessee hospitals partnered with the government to help the state's sickest and poorest residents offset the high cost of their medical bills. The program has funds to enroll only 7,000 people. It targets people with very low incomes or very high medical bills. People applying will be screened to see whether they're already receiving TennCare benefits. The applications are mailed within two weeks. Those who receive an application have 30 days to mail their information back to the Tennessee Department of Human Services in postage-paid envelopes. The $32.7 million program is funded in part by $9.6 million in voluntary fees that Tennessee hospitals imposed on themselves to attract federal matching funds for indigent health care. The one-year program will allow people who would not otherwise qualify for Medicaid to meet the income requirements — once their medical bills are factored into the equation. So, a widow living off a comfortable pension but dealing with mounting medical bills, or a single mother battling cancer, might be able to qualify for aid without sacrificing their incomes. For more information on the Standard Spend Down program, including eligibility requirements, visit the TennCare website at www.tn.gov/tenncare. Staff reports • October 5, 2010 A groundbreaking ceremony for the first project of the Nashville Riverfront redevelopment is scheduled for 10 a.m. today at the east river bank, in LP Field Lot R, next to the Shelby Street Pedestrian Bridge. Mayor Karl Dean and other city officials will participate in the ceremony on the east riverbank for the new Play Park, a 6.5-acre family-oriented, multiuse play park. Have a voice in Nashville's Future! Attend a Long Term Recovery Discovery Open House near you. WKRN Posted: Oct 03, 2010 7:43 PM CDT NASHVILLE, Tenn. – The Metro Fire Department has determined the cause of the apartment fire in a complex near West End. The fire department concluded that careless smoking was the cause of the fire, which began around 11 a.m. on Friday. At least two apartments were damaged in the fire. After arriving on the scene, firemen were able to extinguish the fire quickly. No one was injured in the fire. This is the second fire in the Mid-State in the past week that has been caused by cigarettes. WKRN Posted: Oct 04, 2010 8:09 AM CDT NASHVILLE, Tenn. – Monday is the last day to register to vote in the 2010 mid-term election. Voter registration forms can be mailed or hand-delivered to the Davidson County Election Commission office on 2nd Avenue South downtown. Voters will head to the polls to pick a new governor in the the general election on November 2. Also, several key congressional and state legislature districts are up for grabs. Early voting starts October 13. For more voting information, visit the Davidson County Election Commission Web site. WKRN NASHVILLE, Tenn. – Metro police are investigating the death of a man who was found shot. Salvador Amador, 31, was found between 212 and 214 Wallace Road in south Nashville. A friend told police he saw Amador go into the San Jose Bar located at 99 Wallace Road around midnight. A resident in the 200 block of Wallace Road told detectives that gun shots were heard just before 2 a.m. Amador was not carrying any identification, but police were able to identify him by using a cell phone that was found near his body at the scene. Police were able to contact a relative that identified Amador. Anyone with information on the shooting is urged to contact Metro Crime Stoppers at 74-CRIME. By Michael Cass • THE TENNESSEAN • October 4, 2010 To read entire story hit link above. By Nicole Young • The Tennessean • October 1, 2010 An Antioch man is facing numerous charges after Metro Police said he went on an overnight crime spree in Hermitage. Danny Burnett, 41, of Old Hickory Boulevard, was caught just before 9 a.m. in the Priest Lake area after police said he abandoned a stolen pick up truck when it became stuck and took off on foot. According to the police account, minutes earlier, Burnett had driven the truck into the driveway of a house on Hill Ridge Drive, hit the garage door got out and jumped into the homeowner’s parked car in the driveway. When the homeowner came outside to see what was happening, Burnett yelled that he was looking for loose change, jumped back in the pickup truck and took off. As he fled, he crashed into a car at the intersection of Hamilton Church and Mt. View Roads and kept going. Burnett then drove to a home on Pin Hook Road and attempted to load an air contioner unit, but the homeowner scared him away. Police found a lawnmower, two weed eaters, a leaf blower, a ladder and a dirt bike inside the bed of the stolen truck. Burnett admitted to the thefts and told investigators he was on medication and didn’t remember much, police said. He is charged with auto theft, burglary, trespassing, vandalism, leaving the scene of a property damage accident, reckless driving and driving on a revoked license. WKRN Sep 30, 2010 8:31 PM CDT NASHVILLE, Tenn. – To kick off National Breast Cancer Awareness month in October, the Matthew Walker Comprehensive Health Center hopes to provide 1,000 free mammograms through the end of November. "Last year we had about 300 women screened and maybe around three or four women who were found to have some early stages, early signs early stages of breast cancer," said Katina Beard with the Matthew Walker Comprehensive Health Center. "We were able to refer them and get them early treatment," she added. Mammograms will be available to women with no insurance and also those who have a family history of breast cancer but have health insurance that won't pay for the test. "We do find a lot of women that come and don't have any insurance and they're just ever so grateful to have this opportunity to be able to receive a mammogram with out that barrier of cost," said Beard. Screenings are by appointment only, by calling Matthew Walker at 615-340-1280 or 615-327-9400 ext. 341. Read more online at MWCHC.org. WKRN Oct 01, 2010 9:01 AM CDT NASHVILLE, Tenn. – Hunters Lane High school in north Nashville was evacuated Friday morning due to a strange odor. The school was evacuated at about 8:30 a.m. after students and faculty smelled what could be gas. A Metro Schools spokesperson said the students have been moved to the football field while the Nashville Fire Department goes through the building, looking for the source of the odor. There were no immediate reports of injuries and no students had been taken to the hospital. News 2 has a crew on the scene. This weekend is homecoming at Hunters Lane High School. By Andy Humbles • October 1, 2010 Over 10,000 walkers are expected for the American Heart Association’s Start! Nashville Heart Walk, will start festivities at 8 a.m. Saturday, Oct. 2, at Vanderbilt University on the corner of Children’s Way and Natchez Trace. The walk begins at 10 a.m. The course is 2.5 miles. Parking is free at the Natchez Trace lot. The walk aims to raise over $1 million for cardiovascular disease education and research. For information visit http://nashvilleheartwalk.org. By Tom Murphy • ASSOCIATED PRESS • October 1, 2010 INDIANAPOLIS — The new health-care law could make it difficult for companies such as McDonald's to continue offering limited insurance coverage to their low-wage workers. The world's largest hamburger chain provides its hourly workers with low-cost plans known as "mini-meds" or limited benefits plans. These plans typically cover things such as doctor's office visits and prescription drugs. But they don't provide comprehensive coverage, and they often come with a cap on how much the insurer pays in annual benefits that is much lower than a major medical insurance plan. Next year, the health-care law passed by Congress will require insurers to pay minimum percentages of 80 percent and 85 percent of the premiums they collect toward medical care, figures that may be hard to meet for some of these limited plans. On Thursday, McDonald's denied a report that it's considering dropping health-care coverage for some employees because they won't meet those limits. The Wall Street Journal reported Wednesday that McDonald's has warned regulators it could drop its plan for some 30,000 workers unless the government waives a new requirement in the health-care overhaul. The paper cited a memo from McDonald's to federal officials. McDonald's said Thursday in a statement that it has been speaking with federal agencies to understand the law, but the company called reports that it planned to drop health-care coverage for employees "completely false." A statement from the Department of Health and Human Services said the agency remains "committed to implementing the law in a way that minimizes disruption to coverage that is available today while also ensuring that consumers receive the benefits the (Affordable Care Act) provides." Still, insurance experts say the medical loss ratios may create a coverage gap for some people before the law starts offering coverage help through subsidies in 2014. Limited benefits plans have grown popular as health-care costs have climbed, said Steve Wojcik, vice president of public policy for the National Business Group on Health. Employers in the retail or hotel industries offer this basic coverage as a way to keep workers and improve employee productivity by cutting health-related absences. About 1.4 million workers have group health-care coverage through limited benefits plans, according to the National Restaurant Association, which doesn't track growth of the plans. The limited coverage means patients can be stuck with big bills if something serious happens, but they also can get insurer-negotiated payment rates for that care instead of paying full price. "Compared to nothing, they're a really good deal," said Robert Laszewski, a former insurance executive who's now a consultant. AP writer Emily Fredrix contributed to this report.